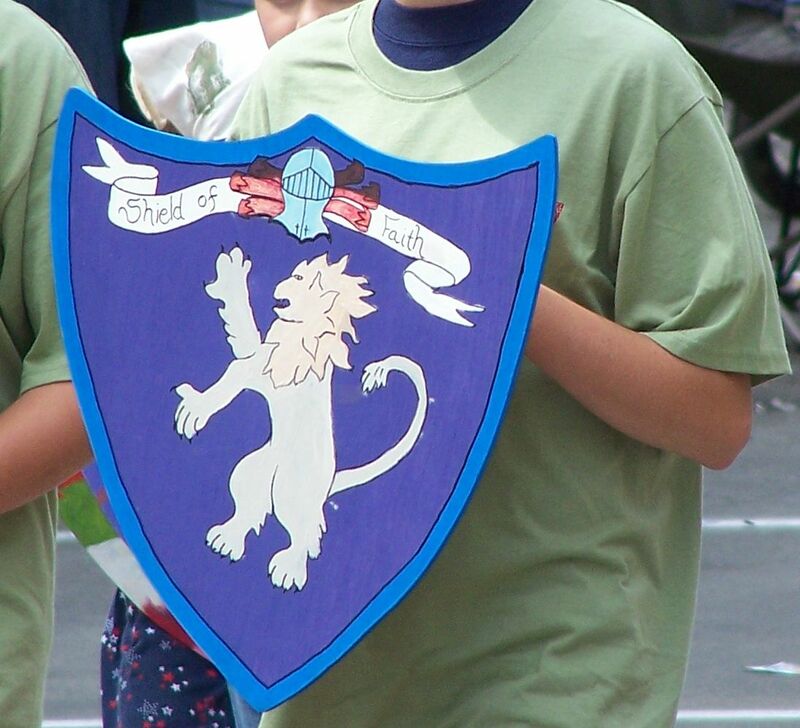 "Put on the whole armor of God..."
We often see kids in VBS or Sunday School with cartoon depictions of men in armor, the helmet, shield, belt, shoes, breastplate, sword. Besides, we're all so familiar with the metaphor of armor that sometimes we tend to skim this portion of Ephesians 6. We think, "I've got to put on my armor and make sure I'm suitably protected from the schemes and fiery darts of the devil..." We might picture ourselves as soldiers, wearing the gear from head to toe. And that's OK. That is all right. Righteousness will be the belt around His hips, and faithfulness the sash around His waist. You have given me Your shield of salvation; and Your gentleness exalts me. It's God's armor. When we put it on, we are putting on God, cloaking ourselves in His strength and might and protection.